Challenge your puzzling skills with the brain meltingly-difficult Gear Ball. 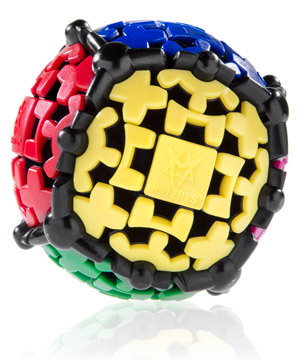 Slightly larger than a baseball, Gear Ball is like a Rubik's cube morphed into a sphere. Your goal is to twist and turn Gear Ball's surface until you form six solid faces of color. Completing the solution, however, requires more than just positioning nine pieces of matching color per side. You must also correctly align and orient the bordered gear pieces. Gear Ball's high-quality construction ensures a velvety smooth spinning action for high-speed solving. Gear Ball is crazy tricky. The simplest way to think of it is as a Rubik's cube morphed into spherical form. Your goal, just like a Rubik's cube, is to twist and turn the ball until you've formed six sold faces of color. But don't forget to correctly position and align the black bordered pieces, too! 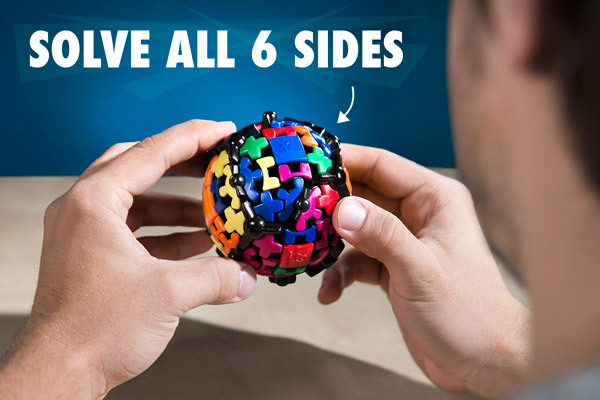 And unlike the Rubik's cube's highly delineated shape, the Gear Ball's spherical body and geared pieces makes it more difficult to keep track of your place on the puzzle. 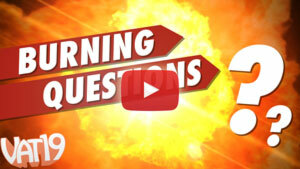 Simply put, the Gear Ball is tough enough to melt your brain into goo. Solve the Gear Ball by correctly aligning the colors, borders, and gears on all six "sides". The Gear Ball is remarkable in that it spins phenomenally smoothly. It's like butter, y'all. Puzzles of this nature sometimes tend to stick or lock up, but the Gear Ball allows you to spin it as fast as your fingers can work. Experienced puzzlers (and newbies alike) will appreciate the smooth spinning action of the Gear Ball. Solving the Gear Ball is no cake walk. But given enough time and effort, even the most difficult puzzles will eventually reveal their secrets to you. So once you discover an effective approach, your next task will be to solve the Gear Ball as quickly as possible. 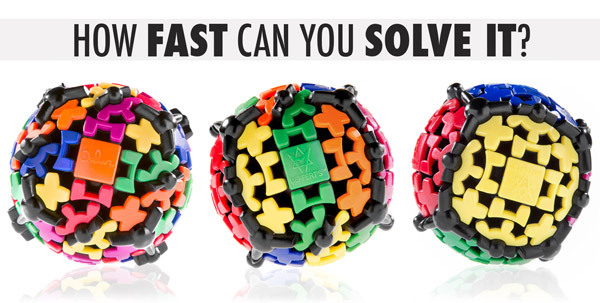 We've seen some folks online who can solve a sufficiently scrambled Gear Ball in as little as twenty seconds. Do you think you can do it faster? challenge yourself to unscramble the Gear Ball in less than 20 seconds.